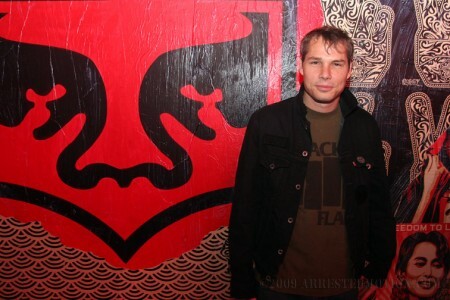 Recently. 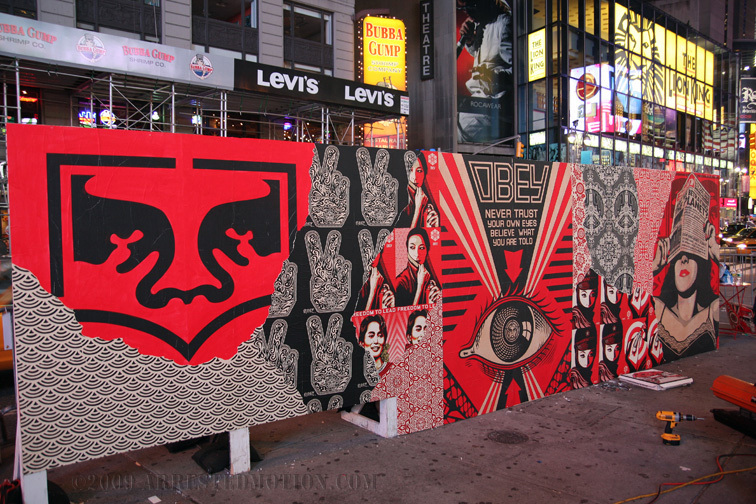 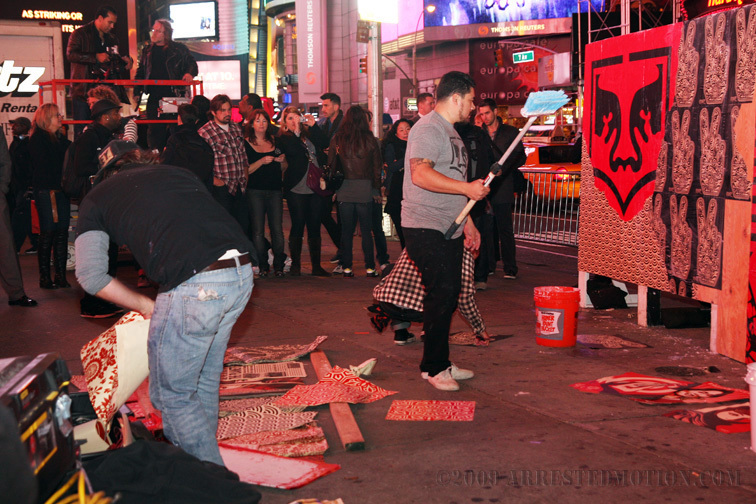 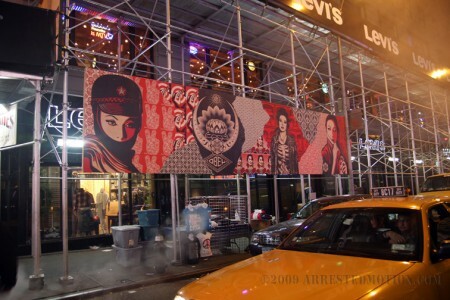 AM had a chance to catch Shepard Fairey and his crew hard at work in the middle of Times Square for the launch of a special collaboration with Levi’s. 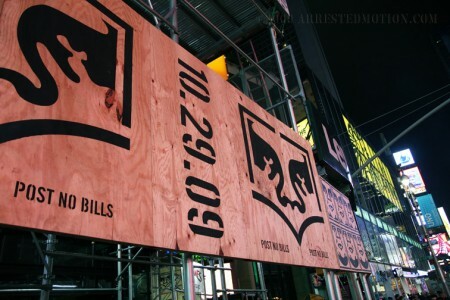 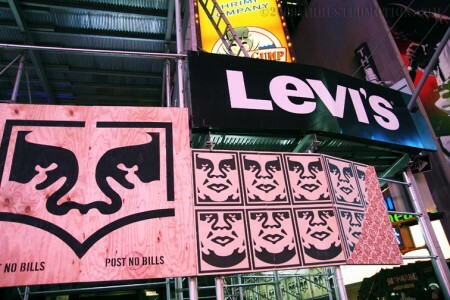 In usual bold Obey fashion, the boys set up shop at the heart of the city to build a mural anchored by Shepard’s classic icon with a “pocketed” Levi’s twist. Not surprisingly the mural creation process drew a big crowd of fans and tourists eager to get pictures of Shepard much like his mural creation in Italy (here). 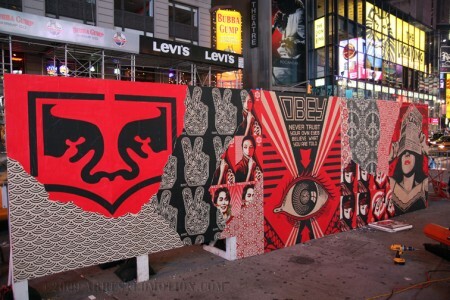 For the record: (To our law enforcement readers in Boston) this was a legally sanctioned space that the mural was created on. 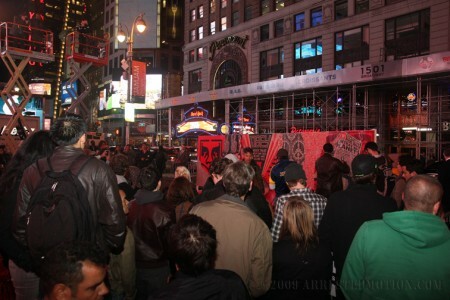 Categories: Art, Contemporary Art, Features, Seen on Streets, Shows & Events, Street & Urban Art. Tags: Contemporary Art, Installation, Levi's, Seen on Streets, Shows & Events, Street & Urban Art.